The purpose of this Posture Program Review is to evaluate Posture Programs on the market, and provide readers with a comprehensive understanding of what each program offers and to enlighten readers to which type of healthcare professionals that each Posture Programs targets. This is to raise the awareness for healthcare professionals who are interested in expanding their practice to include posture analysis and correction. It is under the scope of this association to provide health professionals with up to date information on choices for posture related products, and programs, allowing them to make educated decisions towards their practices and education. To date, this is the most comprehensive review of postural programs. Be an informed consumer. If making an investment in advanced postural education, be sure the course you have chosen is the right program for your market specialty, clinical preference, and patient base. Each Posture Program is reviewed among varying categories so readers can gain an in-depth understanding of the program, what to expect, who it is for, the time and financial commitment, and the method of course delivery. It is not the purpose of this review to negate any programs, or to prove a program insufficient. Every program has both pros and cons from varying aspects dependent upon the needs of the health professional. It is the intent of this review to give an easy accessible mode to compare and review the programs in order to determine the right program for each health professional. This non-biased review allows healthcare professions to compare and contrast program offerings. Readers should be informed that each of the programs selected for review provides participants with a certification upon completion. There are many other institutions that teach postural assessment and correction techniques with their methods. In order to make this review possible a criteria was set for the program to be selected. Each of the programs selected must teach posture as its primary focus and provide a certification to participants upon completion. For each Posture Program a “Systematic Approach of Posture” will be included, to explain the main theories, concepts, and school of thought regarding posture. This will provide readers insight into the means and methods of how each Posture Program views posture. This will not be considered for their Star Rating. This is included to provide a thorough understanding of each program. A section entitled “Targeted Healthcare Professionals” is also included. This will not be a point of evaluation for the star rating either. This section is also informative so readers have a clear understanding of which programs are most appropriate for their sector of healthcare. The “Consumer Reviews” were found from a Google search in this format, “Consumer Reviews for (Name of Posture Program).” Each review provided is a non-biased review based on the information discovered. All information was found from an online search of public information. From the categories above, each Posture Program will receive a unique star rating. The overall star rating will take into consideration each classification listed above to be a comprehensive score of consumer usability, benefits, curriculum concepts, and business growth support. Provided below is the final evaluation for all of the reviewed posture programs. The final star rating has been provided for each. The best rating is 5 Stars the least being 0 Stars. For a detailed review of each program, including the information of the categories selected for evaluation see below. The programs are listed in order of Star Ranking from Most to Least. Find out more about the International Posture Association at the end of this review. Systematic Approach of Posture: The Certified Posture Expert program is an all-inclusive course to educate healthcare professionals of the structure and function of the Posture System, societal patterns of postural decline and how this impacts public health, how postural distortion patterns compromise physiology and is associated with common pathologies, how to perform a Complete Posture Analysis with clinical precision, and proven correction strategies. The American Posture Institute emphasizes the importance of anti-gravity posture, explaining how flexor dominant posture is a less evolved position of human design. Correction strategies are targeted at improving upright, extended posture against gravity while static and performing dynamic movements. Participants learn the structure and function of the Posture System and pathologic consequences that occur due to postural distortion patterns. Once they have a clear grasp of the research and the anatomy and physiology of the Posture System, students learn how to perform a Complete Posture Analysis with clinical accuracy. Students then learn how to perform the “Complete Posture Analysis” which is a structural, functional, and neurologic assessment of the posture system. Assessments include advanced Posture Imaging, The Wade Technique for Postural Analysis, and the Spinal Push Test. Learners discover how 90% of all health care professionals are incorrectly performing posture analysis, and why the Wade Technique for Postural Analysis instantly validates any posture examination, and how to effectively find the levels of postural instability of the spine with the Spinal Push Test. Full correction protocols are taught to students with emphasis of the 360-degree approach to postural correction. The American Posture Institute’s method includes spinal alignment anti-gravity treatments, posture rehabilitation including cutting edge active and passive strategies to correct postural distortion patterns, and posture habit re-education for correction of postural distortion patterns while static and performing dynamic movements. Certification Curriculum: The curriculum consists of four modules. After completing each module, students must pass an examination to advance to the next module. Upon completion of all four modules, there is a comprehensive examination for certification. Module 1: In module one, students learn the principles of posturology. They are informed of why posture is declining at the speed of technology, and how this affects the biologic sustainability of the human population. Correlations are presented that demonstrate public health impact of poor posture and why proper posture is a fundamental aspect of health, wellness, and optimal human performance. Module 2: The second module includes a full explanation of the Posture System from development into adulthood. The Posture System is broken down into four posture quadrants. Within each posture quadrant, learners develop full understanding of structure and function and the effects of postural distortion patterns in terms of physiologic compromise and the development of pathology. Module 3: In module three, students learn how to perform a “Complete Posture Analysis” which is a structural, functional, and neurologic postural examination to determine exactly where the postural distortion patterns are located. Students learn how to implement and understand advanced concepts of clinical analysis including Posture Imaging, the Wade Technique for Postural Analysis, and the Spinal Push Test. Module 4: Module four includes correction strategies to correct complex postural distortion patterns affecting human design. Students are taught how to perform the “Complete Postural Correction” an anti-gravity correction strategy for immediate postural correction results. Then learners gain full understanding of how to implement advanced postural rehabilitation strategies such as vibration therapy, posture taping, reverse posture exercises, and spinal traction to name a few. In addition to this, participants learn how to teach their patients postural habit re-education to develop neuroplastic pathways that support proper posture during their daily activities. This program is based around the prestigious textbook, “Principles Of Posturology” written by Dr. Krista Burns. This textbook is reviewed, edited, and supported by some of the leading research analyst, and neurologist in the country. Format of Course Delivery: This course includes over 20 hours of content delivered completely online, from the comfort of your own home or office. Students are granted lifetime access to the course material to refer back to the high quality teaching videos at anytime. Upon completion of each module, the participants take a quiz to advance forward. After completing all four modules, students take a comprehensive online examination for certification. Founders’/Creators’ Credentials: Drs. Mark Wade and Krista Burns are each Doctors of Chiropractic, have PhDs in Public Health & Health Policy. Dr. Wade & Dr. Burns are said to be the 2 most Credentialed Posture Experts in the world containing more than 45 certifications on posture, neurology, and human function in addition to their clinical doctorates, and their PhD degrees. Dr. Mark Wade is the creator of the internationally renown posture programs, 12 Weeks To Better Posture™ and FITPosture™ as well as the developer of the CPC (Complete Posture Correction™) Protocol. Dr. Wade is also the inventor of the ‘Spinal Push Test’, which is used for detection of postural instability. Dr. Wade has published research in the field of Posture correlating the importance of posture for children in public schools, as well as having written for local and international publications. Dr. Wade has also written several books on the topics of posture, self-development, and co-authored the textbook “Principles of Posturology”. In addition to his role at the American Posture Institute, Dr. Wade is also the President of the Council on Human Function. Clinically Dr. Wade has worked with professional athletes and sports teams in every major sports arena and boasts a total of 7 national championships from 5 different sports teams. Dr. Wade has served as the official Postural Practitioner for the 4 Time National Champions – Parma Panthers. Dr. Krista Burns is an inspiring public speaker and has been a featured presenter at forums and seminars worldwide. She is the author of the evidence-based textbook, The Principles of Posturology and has created and implemented a publicly recognized postural hygiene program called “Better Posture for Brighter Futures” which has been implemented throughout the Italian school system. She is the Vice President for the League of Chiropractic Women and also the founder and President of the European League of Chiropractic Women, an organization dedicated to the advancement of women in the chiropractic profession. In addition to this she is a professional fitness competitor in the bikini category placing 3rd place in the IFBA World Championships. Business and Practice Growth Education: The American Posture Institute provides participants with in-depth training of how to become the “Go-to Posture Expert.” This material provides new age marketing strategies, first visits and report of findings demonstrations, the Corporate Posture Program to be implemented in corporations, and 12 Official Posture Workshops to be used monthly. In addition to all of this that is included in the course, there are practice success programs including an elite mastermind group. “Build Your Social Media Empire” – This is a 2 hour advanced course teaching Certified Posture Experts all of the fundamentals for each social media platform, how to use them, and how to build an empire by being everywhere without spending all day doing it. “Master Social Media Marketing and Create a Loyal Following” – This course teaches learners how to master the tools and online resources available to build a following, create their first blog, master social groups, provide professional quality content, learn how to engage regularly by using automation tools and get more opt ins, and how to correctly place and target your marketing strategies to be everywhere and build a loyal following of dedicated fans where it matters. “Become the Go-To Expert” – The step by step guide to becoming the go to expert. Learners develop their Unique Expert Position, define their target niche, build an expert level presence, and use that expertise to gain authority and increase profits. Includes the Ebook How to become the go to expert in 6 months or less. The “Corporate Posture Program” includes the EBook: “How to Set Up Posture Talks: The Ultimate Guide to Getting Your Foot in the Door” and a script and Powerpoint presentation to give live Corporate Talks. Plus, Certified Posture Experts get 12 of the American Posture Institute’s Official Posture Workshops, including the Powerpoint slides, the scripts, and the how to checklist for exponential and predictable growth each month. Virtual Authority: The American Posture Institute has an astounding online presence. Not only is their website user friendly, it looks very modern and up-to-date. API’s resource page is full of valuable, free content for viewers including webinars, podcasts, Ebooks, and research guides. They have 3500+ followers on Facebook with a very engaged community who likes and shares their posts. Consumer Reviews: No consumer reviews were found when searching for this program. They have many 5-star ratings on Facebook with positive statements. They also have many video testimonies about their program available on their Facebook page. Post-Certification Education Opportunities: Advanced postural courses including “Head Posture Analysis and Structural Restoration” and “Advanced Posture Taping”, “Postural Vibration Therapy,” “Postural Gait Analysis” and many others are available to learners. Head Posture Analysis and Structural Restoration teaches Posture Experts how to analyze and correct significant head posture distortion patterns. Analysis of head posture distortions is achieved by specific angle analysis utilized with Posture Imaging. Correction strategies include reverse posture exercises with and without resistance and traction. Advanced Posture Taping is an in-depth understanding of how Functional Tape improves patient compliance with an evidence-based literature review of how Functional Tape applies to the Posture System. Students then learn a step-by-step clinical analysis process to determine which of the 6 Functional Taping protocols is the most appropriate for each patient. They also get in-depth instruction of how to apply Functional tape and at what tension for case presentations. In addition, the American Posture Institute offers a free monthly webinar for Certified Posture Experts and aspiring Posture Experts. The live webinars are 1 hour long, covering in detail aspects of the Posture System, postural correction, posture analysis, and practice growth. The topics change every month creating on going Free Advanced Educational Opportunities. Systematic Approach of Posture: The Postural Restoration Institute was established to explore and explain the science of postural adaptations, asymmetrical patterns and the influence of polyarticular chains of muscles. The human body is balanced through the integration of system imbalances. 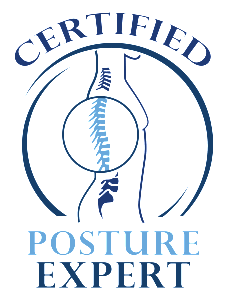 Postural Restoration Institute credentialed professionals recognize these imbalances and typical patterns associated with system disuse or weakness that develops because of dominant overuse. Dr. Hruska explains that “Limited functional patterns” cause restricted movement patterns, myofascial dysfunction, and compensatory hypertonicity. The adapted hypertonicity leads to limitations of functional trunk rotation. When these normal imbalances are not regulated by reciprocal function during walking, breathing or turning, a strong pattern emerges creating structural weaknesses, instabilities, and musculo-skeletal pain syndromes. Balancing muscle activity around the sacrum, the sternum, and the sphenoid through a PRI approach best positions multiple systems of the human body for appropriate integrated asymmetrical function. Certification Curriculum: For certification eligibility, each healthcare professional is required to complete the 3 “primary courses,” and the “Advanced Integration” seminar. Upon completion of the Advanced Integration seminar, healthcare professionals receive a PRC certificate of attendance and may take the official certification examination. The primary courses include the following topics: Myokinematic Restoration, Pelvic Restoration, and Postural Respiration. The course material is comprised of intellectual knowledge application, practical analysis experiences, and correction methods. Course 1: The Myokinematic Restoration course covers the biomechanics of contralateral and ipsilateral myokinematic lumbo-pelvic-femoral dysfunction. Treatment techniques to reduce asymmetry include focused attention to restoring pelvic-femoral alignment and the recruitment of rotational musculature. Students will also learn how to restore the normal muscle resting position which is particularly effective in the correction of lumbar strain, SI joint dysfunction, and piriformis syndrome. Course 2: The Pelvic Restoration Course is designed to teach professionals how to correct pelvic dysfunction and restore reciprocal function. Students will gain understanding of the impact of the pelvic inlet and pelvic outlet as it relates to symmetry and dysfunction. Upon completion of this course, participants have the knowledge to correct complex cases of pelvic dysfunction. Course 3: The Postural Respiration Course teaches a functional respiration assessment of how to detect diaphragmatic compromise and asymmetric breathing patterns. They teach integrated manual and non-manual techniques to improve habitual respiration, correct diaphragmatic dysfunction, rib torsion, and asymmetric oblique compensation. This course is particularly valuable for patients presenting with fibromyalgia and shoulder abnormalities. Advanced Integration: Advanced Integration is the final course of the certification. It pulls together concepts from each of the 3 primary courses for full understanding of pathomechanics and behavioral patterns. Pathologic and non-pathologic compensation patterns are explained. Assessment is non-segmental, meaning the learner will understand the relationship of the whole body. They will learn manual and non-manual corrections to improve function. Format of Course Delivery: This certification program may be taken as a live seminar or through a home-study video series. The 3 primary courses are all available live or for home study, the learner may choose which mode of learning they prefer. Each of these courses is a two-day 16-hour course with academic coursework and live laboratory hands on practice. “Advanced Integration” for the PRC certification and “Impingement and Instability” for the PRT certification must be taken as a live seminar experience. The certification test also must be taken in person. Advanced Integration is a four-day, 30-hour seminar. Impingement and Instability is a 2-day 16-hour course. When referring to the “home study” option, it means that live seminars were recorded and are now available for remote access to course learning. Founders’/Creators’ Credentials: The founder of the Postural Restoration Institute, Dr. Ron Hruska is a physical therapist with over 32 years of clinical experience. He has worked with collegiate and professional athletes. He lectures extensively and is a consultant to the University of Nebraska-Lincoln Division of Athletic Medicine. He is a member of multiple professional associations including the American Academy of Orofacial Pain, American Academy of Craniofacial Pain, Neuro-Optometric Rehabilitation Association and the American Physical Therapy Association. Business and Practice Growth Education: There is no advanced coursework for business growth or practice development. This information is not covered in the required seminars, or as an optional seminar or practice package. There is no emphasis on clinic growth. Virtual Authority: The website for the Postural Restoration Institute is user friendly and easy to navigate from a laptop or PC computer. It appears professional and has relevant content available to viewers. There is a “Resources” tab available to view related research, articles, interviews, and recommendations of living with a PRI lifestyle. 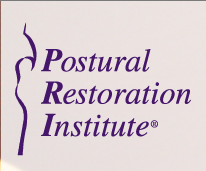 The Postural Restoration Institute has 4890 followers on Facebook with regular posts and audience engagement. Consumer Reviews: Consumer reviews demonstrated pros and cons of the course material. They demonstrate 4.9 stars out of 5 on Facebook with 41 reviews. There are many advanced education series beyond the initial PRC and PRT certifications. Learners can advance to “Secondary Courses” which include “Cervical Revolution” and either “Advanced Integration” or “Impingement and Instability” (the course that was not previously taken in the certification process). Each of the advanced courses must be completed at a live seminar, there is no Home Study option for advanced educational opportunities. Systematic Approach of Posture: PIPP focuses on the way the brain communicates to the musculo-skeletal system. 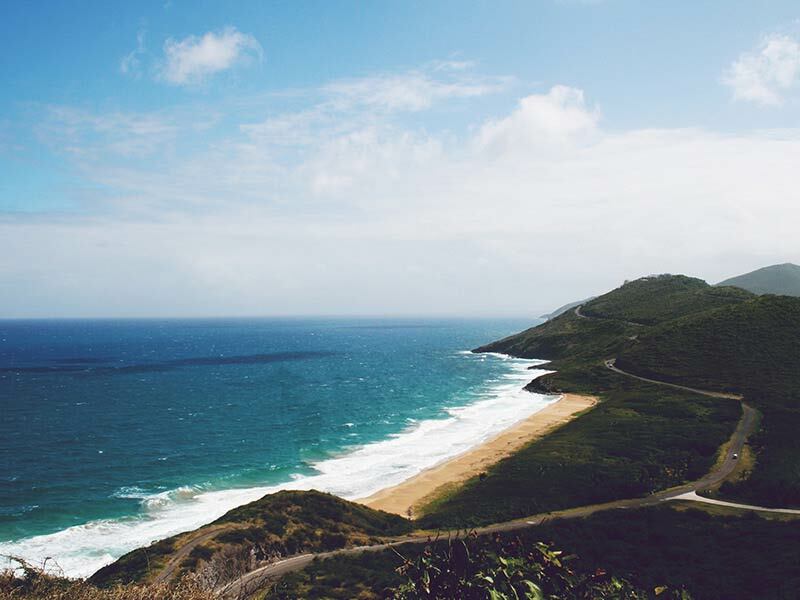 In doing so, PIPP allows the practitioner to treat the body as a whole, to change faulty motor patterns and provide immediate results and permanent changes with clients. They understand if their patient’s sensory receptors are projecting inefficiently to instantly improve their client’s performance. Poor posture is always linked to injury and decreased sports performance. PIPP practitioners have the skills to increase strength performance by up to 5.1% in one training session. Much of this approach is relevant to developing better athletic performance. The PIPP certification views the body as a whole teaching learners how to view leg length discrepancies and how this impacts exercise. They learn how to correct TMJ dysfunction in order to increase performance and optimize movement. Learners are taught methods of improving range of motion without touching the client, and they learn strategies of dealing with chronic pain patients. Level 1 I: In this phase, learners are introduced to the tonic postural system, the sensory receptors, and their effectors as it relates to movement. By understanding the brain-body connection, learners understand how neurophysiology affects the musculoskeletal system, how sensors contribute to posture, and how to train athletes to overcome training plateaus. Level 1 II: This phase emphasizes the relationship of TMJ and posture and how it affects sports performance. Learners will leave with an understanding of leg length discrepancy and assessment strategies. There is also discussion of scoliosis, scars, and microgalvanisms. Level 2 III: Phase III focuses on the connection between postural assessments and the sensory receptors. This is a unique and innovative of way of assessing posture. This seminar “puts it all together” for learners. Level 2 IV: This phase teaches the anatomic and neurological components of the postural system. After discussing each of the neurologic pathways, learners will understand the connection between neurology and strength. 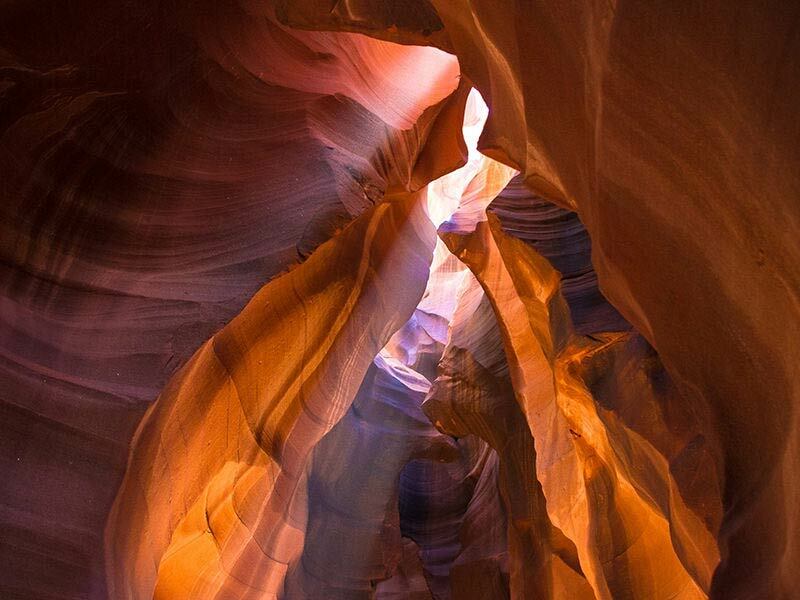 Further understanding will also be provided of the ontogenesis of the ear, eye, and the jaw. This certification targets movement specialists, trainers, and performance coaches. The majority of the information is related to sports performance and how to improve strength. Trainers working with high-level athletes will benefit from this certification. Format of Course Delivery: This certification is completely live, consisting of 4 seminars that are 4 days each. Although participants may take the seminars individually, to get certified, they must take all four phases. Founders’/Creators’ Credentials: Annette Verpillot, the founder of Posture Pro, is not a healthcare professional, however she teaches PIPP. She works alongside Dr. Bernard Bricot who is a renowned orthopedic surgeon with over 35 years of experience. He works primarily with athletes in his clinic and travels the world teaching seminars to coaches and healthcare professionals. 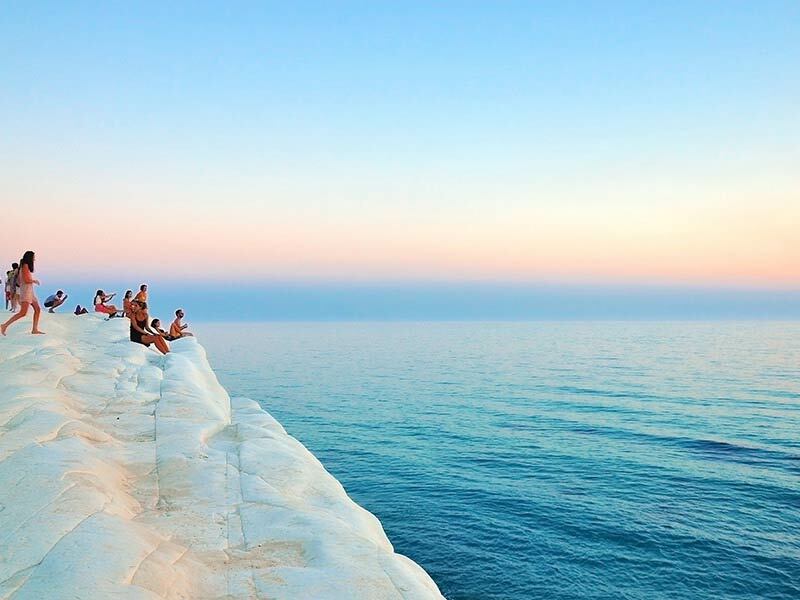 He has also been a university level professor at multiple universities throughout Italy. Neither instructors native language is English. Business and Practice Growth Education: There is no specific training of business development or practice growth. Virtual Authority: The website is user-friendly and provides prospective students a clear understanding about their program. There is also a blog that provides readers with more information relevant to their concepts and practices. Posture Pro has 9886 followers on Facebook and posts regular, relevant content. They have frequent posts with good engagement. They have 4.6-stars out of 5 on Facebook with 63 reviews. Post-Certification Education Opportunities: Beyond the four phases of the certification, there are also three advanced courses. The “Advanced Eye Program” is a course for practitioners to learn advanced eye movements and exercises that are relevant to posture. The “Advanced Neurology Program” is a one-day course. This program that covers how we feel (sensory input), how we stand (posture), and how we move. The “Posturology and Primitive Reflexes” course will introduce the assessment and treatment of primary movement patterns that have not been integrated. Systematic Approach of Posture: The Certified Posture Exercise Professional (CPEP) is a program offered by “BodyZone” for fitness professionals emphasizing exercise strategies for patients to live and age well. The primary focus of the course is an exercise routine for healthy aging based on a few of the teachings of Vladimir Janda. Learners engage in discussion of the core musculature with emphasis on strengthening the transversus abdominis. This course will guide your patients to engage their inner core and improve postural “BAM” (Balance, Alignment and Motion). The exercises consist of movements that cycle around an exercise ball in different positions to improve posture. This exercise protocol is recommended for inactive baby boomers and for older individuals who are seeking wellness cares strategies, not for competitive athletes. Concepts of the course are based on the book “Stand Taller ~ Live Longer.” The educational aspect of the program covers basic assessments and basic anatomy and physiology pertinent to posture. There is a strong emphasis in the course on the specific wording of how to cue clients to perform the exercises with postural control of their respiration patterns and balance. Peel backs are explained for patients who are unable to perform the exercises correctly, and progressions are provided for patients who advance through the ball routine with ease. Certification Curriculum: The curriculum of CPEP certification consists of four parts: a 12-hour live seminar, 15 hour online training, 3 branding and marketing webinars, and practice tools for staff training and implementation. The live seminar “Strengthening Posture for Rehab, Performance, and Active Aging” teaches fitness professionals how to integrate active and passive therapies to create postural awareness and strengthen posture. Students learn posture consciousness as it relates to standing posture, and activities of daily living. They also develop skills in posture picture assessments, Janda crossed syndromes, basic anatomy of the posture zones of the body, and the 5 Posture Principles. Module 1: “Rehabilitation of Motion and Balance” covering low-tech rehabilitation for healthy aging and “Biomechanics 101” relevant to posture. Module 2: “Motion Patterns” to learn integration of the BAM exercise protocol. Module 3: “Compensation and Stabilization” including lumbo-pelvic stabilization during ball exercises designed specifically for the baby boomer generation. Module 4: “Adaptation and Core Re-Training” to strengthen the upper body, shoulders, and respiration patterns by using basic breathing exercises, and arm movements. Module 5: “StrongPosture and Wellness” teaching BAM rehabilitation and healthy lifestyle habits. The marketing and branding aspect of the curriculum is taught from three webinars. Webinar 1 covers “Posture Practice Management” of staff training and office implementation, Webinar 2 emphasizes “Posture Practice Implementation” with patients including scripting and patient education, and Webinar 3 teaches “Posture Practice Branding” covering basic concepts of marketing, posture screenings, and lectures. Target Healthcare Professionals: The Certified Posture Exercise Professional course is primarily targeted at exercise professionals such as personal trainers, yoga instructors, and Pilates instructors. This information can be implemented with individual clients or group classes. Format of Course Delivery: This certification is an online, video based 15-hour course with an additional mandatory live seminar. The certification test includes an 80 question online examination and a live proficiency test of how to do cue a patient to perform the exercises. Founders’/Creators’ Credentials: Dr. Steven Weiniger is a Doctor of Chiropractic and author of the book Stand Taller ~ Live Longer. He has been featured on National media including FOX, NBC, and ABC. Dr. Weiniger was appointed delegate to the White House Conference on Aging, the decennial event held by the President of the United States and Congress to develop recommendations on issues, policy and research in the field of aging. Business and Practice Growth Education: The CPEP certification course includes 3 one-hour webinars on practice management, implementation, and branding. Learners also receive a document “15 Steps to a Posture Program” with a checklist for implementation of knowledge learned. Virtual Authority: The information for this course spans across two websites, making navigation “frustrating” for participants. Inconsistencies are noted throughout the websites and the course material, demonstrating constant changing of the program & marketing, further increasing confusion. The CPEP certification has 462 followers on Facebook with recent posts and minimal audience engagement. They have no reviews on Facebook. Post-Certification Education Opportunities: Post-certification education includes monthly webinars. The webinars do not cover clinical information, they are primarily focused on billing, ICD10 education, and HIPAA compliance. Systematic Approach of Posture: This certification teaches trainers and exercise professionals to assess and educate their clients in all areas of posture and body alignment. The modules of the course will describe, demonstrate, teach and analyze exercise movements and posture in an easy to follow sequential order. Learners will get an overview of the exercise sciences such as anatomy, kinesiology, exercise physiology, and details of performing postural assessments. They are also taught methods to correct alignment, reverse patterns, improve posture, relieve back pain and train people through cognitive methods via the Four Points of Posture Program and exercise movements that were developed by the National Posture Institute. From the analysis, trainers learn how to create an exercise program to implement with their clients. The desired outcome of the exercise protocol is to improve posture and to prevent low back pain and common injuries. Certification Curriculum: The certification consists of five modules that are taught in sequential order. Module 1: This module includes an introduction to posture and body alignment with a review of how poor posture and body alignment develop, and how this condition can increase the chances of postural dysfunction, back pain, and risk of injury. Module 2: This module teaches anatomy and kinesiology to evaluate the anatomical structures of the vertebral column and the extremities. Module 4: This module emphasizes exercise program design to correct alignment and reverse patterns. The exercises are intended to improve posture and movement to prevent common injuries and chronic pain such as low back pain. Module 5: The fifth module is for business development, to teach trainers business concepts, client education, and management. They learn how to implement the posture assessment program into organizations. Target Healthcare Professionals: The Certified Posture Specialist program is primarily for personal trainers and fitness professionals. The methods for correction of posture are exercise specific. Format of Course Delivery: The certificate program is taught in online format and includes the complete certificate course, quizzes, and the final certificate exam. This is a self-paced, online distance education certificate program. Learners also have the option of participating in a live seminar experience. Founders’/Creators’ Credentials: Kenneth E. Baldwin is an associate professor for a wellness leadership undergraduate degree. Has been involved in fitness profession for over 15 years, and lectures throughout the US. It was difficult to find any additional relevant information on this program creator. It appears that he does not have a degree in health care or wellness, is primarily an associate professor, and is the sole operator behind the “National Posture Institute” whom this program is run through. Giving the appearance as if there is a greater presence behind this certification. Business and Practice Growth Education: A module of the course is dedicated to business development. Students learn business concepts, how to educate clients, and patient management. Virtual Authority: Although the National Posture Institute’s website looks old and out dated it is easy to use and to navigate. The National Posture Institute has 2056 followers on Facebook. They provide regular posts, many seeming off topic from posture, with very little audience engagement. There are no reviews on Facebook. Post-Certification Education Opportunities: The National Posture Institute offers other certifications including the “Resistance Training Professional” (RTP) certification and the “Certified Goniometry Specialist” (CGS) course. The Resistance training course teaches exercise professionals how to instruct their clients to use resistance training. The goniometry course is fore measuring range of motion. They also offer a free webinar series for continued learning. Systematic Approach of Posture: Egoscue Inc. is a teaching institution to certify Postural Alignment Specialists. 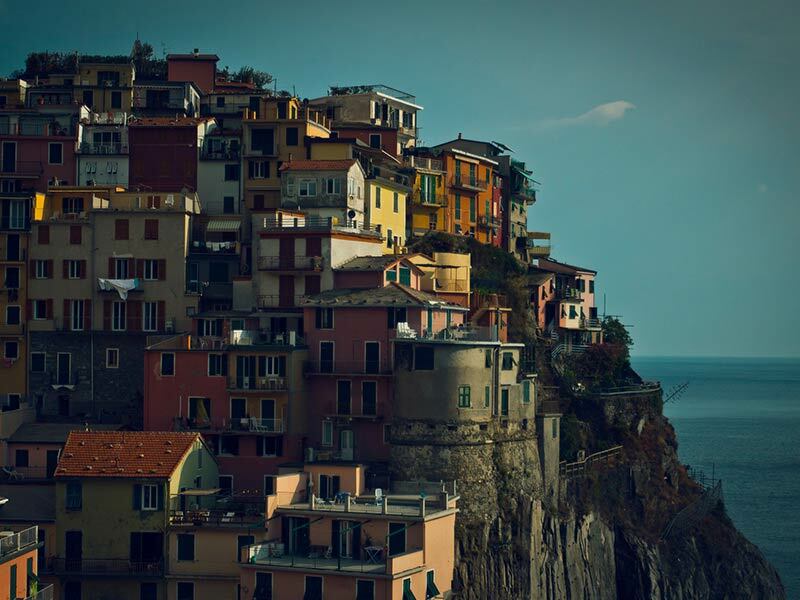 They have 25 clinics worldwide that are serving clients, offering franchising opportunities to certified specialists. The Egoscue Method helps individuals tap into their body’s ability to heal itself of chronic pain through easy and gentle exercises. The systematic approach is very basic. They evaluate for the presence of C-curvatures of the spine versus an S curvature. They focus on restoring alignment of the body to be pain free, to allow the body to heal itself, and to improve the body’s interaction with gravitational pull. The exercises are intended to be slow and held for long durations of time. 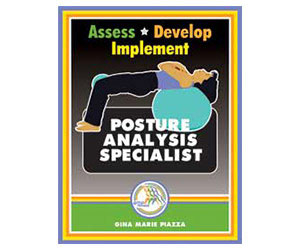 Certification Curriculum: The Posture Analysis Specialist (PAS) certification requires that learners take the “PAS I” course, pass the examination, then proceed to “PAS II” course material. After PAS II there is final examination to receive the certification. The core concepts of the certification include postural analysis, determining cause and effect, functional testing, and gait assessments. PAS I: This part of the course includes postural identification to evaluate standing posture, understanding symptoms and dysfunctions to grasp the condition that the patient presents with and their physical limitations, performing functional tests to evaluate functional capacity of the patient’s posture, and introduction to E-cises, menu generation to learn about the software, and application to recreational sports. PAS II: The second part of the course includes an explanation of posture and an understanding of postural deviations, gait analysis for structural dysfunction, the cause and effect relationship of primary movers and stabilizers, E-cise implementation, case studies for menu generation, and functional strength and conditioning with an emphasis on flexibility. Target Healthcare Professionals: This course is available to individuals among all careers. Enrollment is available to healthcare professionals and non-professionals. The target market was unclear; the courses are open to anyone for participation not just health or fitness, meaning even the general public could participate. Format of Course Delivery: To learn the Egoscue Method, participants can choose to do so completely online, or through live seminars. The online option includes 12 modules (explained above), and the examinations can be taken online. The live seminar option includes two live seminars. The examination may be taken live or online in this case. Founders’/Creators’ Credentials: Pete Egoscue, an anatomical physiologist since 1978, is the creator of the Egoscue Method. He is a self-taught therapist who gained exposure through experimentation on himself and athletes. His exercise therapy program is known worldwide for treating chronic musculoskeletal pain attributed to workplace and sports injuries, accidents, aging, and other conditions. His books include Pain Free, The Egoscue Method of Health Through Motion, Pain Free for Women, Pain Free at Your PC, and Pain Free Living. Business and Practice Growth Education: They have the option of learning practice growth strategies through an additional course. This is a 6 hour course with a focus on client connection, the Socratic Method, gait, thought processes, menu options, and setting up further patient appointments. Virtual Authority: The Egoscue and Egoscue Univeristy website are difficult to navigate and lack easy access to necessary information. And this is the updated version. Even with a recent update, their websites seem outdated and are confusing to use. There are some resources available for patients and videos have good quality. To find the training you must navigate to a separate website. The Egoscue Method Facebook page has 833 followers with recent posts. The posts demonstrate minimal audience engagement. Consumer Reviews: Consumer reviews were minimal. The reviews viewed demonstrated pros and cons of the course material. 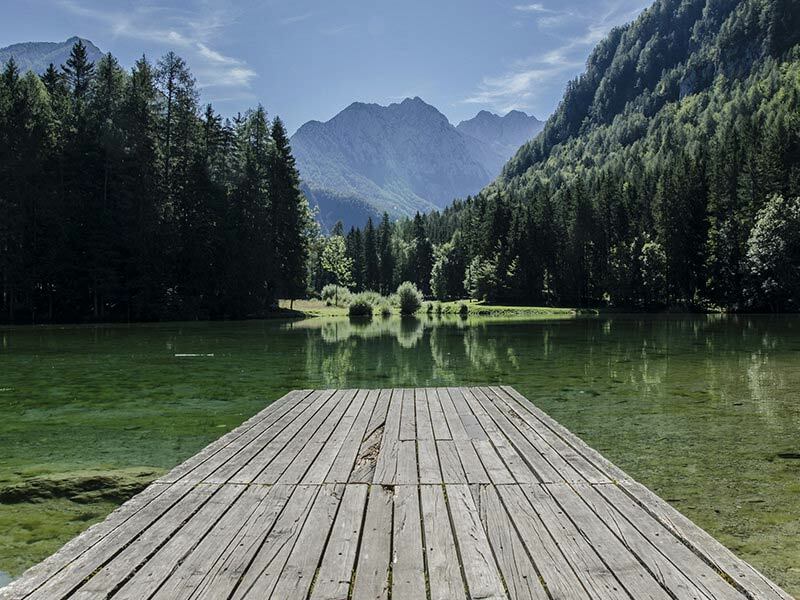 Post-Certification Education Opportunities: After completing the PAS certification, learners can choose to advance their learning further with the “E-Cise Therapy Skills” certification and/or the “Advanced Exercise Therapist” certification. The E-Cise Therapy Skills course includes 12 “E-cise dissections” to thoroughly learn the exercises, emphasize therapist thought processes, and exercise execution. This certification level is necessary for individuals interested in franchising with Egoscue. 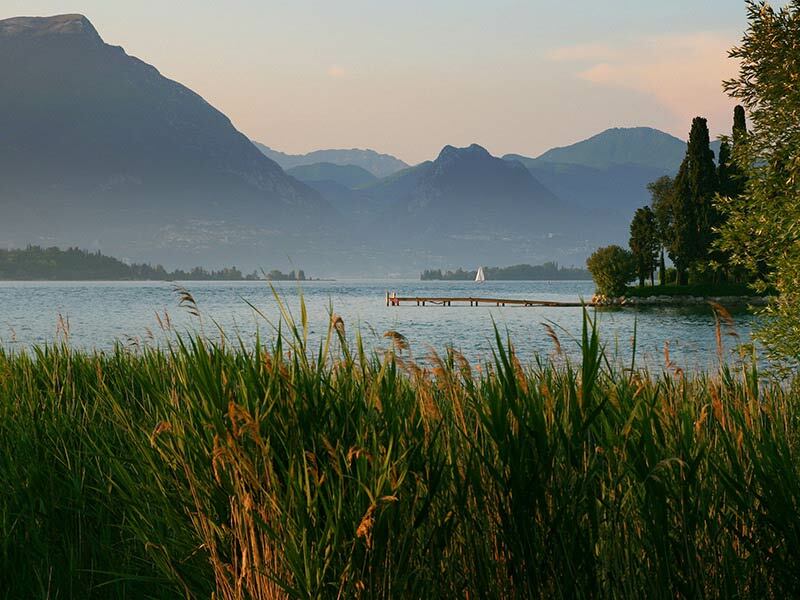 The Advanced Exercise Therapist certification is the highest level of course offerings. It teaches students gross anatomy, how to educate clients and colleagues of the Egoscue mindset, and how to effectively communicate the Egoscue Method to the public. Systematic Approach of Posture: The American Council on Exercise (ACE) Fitness Certifications provides many online training certifications for aspiring exercise professionals, in an almost shotgun approach to have something for everyone. They view posture as an essential base for all movements. Proper posture can mean the difference in the effectiveness of an exercise and causing injury to clients. ACE teaches learners very basic information of posture deficiencies to help fitness professionals determine the appropriate therapeutic exercises to implement with their clients. They teach the importance of stabilization and proper body alignment, and beneficial tips to share with clients on improving their posture. Certification Curriculum: The curriculum covers strategies to use when conducting postural assessments. They discuss the importance of stabilization to maintain proper body alignment and provide tips to share with clients to improve posture. Exercise protocols include simple conditioning moves for common repetitive motions and the guidelines and benefits to using a stability ball when trying to improve posture. Target Healthcare Professionals: ACE targets fitness professionals including trainers, group fitness class instructors, sports coaches, and health coaches. They have many different certifications that they offer. 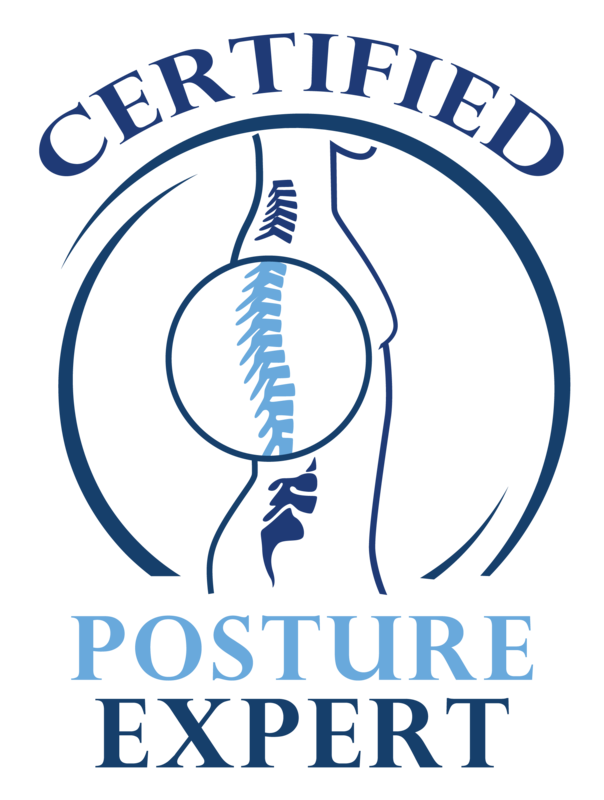 The Posture Analysis Specialist course is considered a “specialty” certification. Format of Course Delivery: This is a short 1-hour, self-paced, home study course. It is only available online. Founders’/Creators’ Credentials: President and CEO of ACE, Scott Goudeseune is not a healthcare provider. He a member of the board of directors of the Campaign to End Obesity, president of the National Coalition for Promoting Physical Activity (NCPPA) and a member of the board of directors on the National Physical Activity Plan Alliance (NPAPA) serving on the Business/Industry Sector in executing the National Physical Activity Plan (NPAP). Virtual Authority: The ACE website overall is very professional and user friendly. There is very little emphasis whatsoever on the Posture Analysis Specialist certification however. In fact, you really have to search to find it. There is one paragraph dedicated to this certification. ACE has a large Facebook following of 196,158 followers, however there is no page dedicated to the Posture Analysis Specialist certification. Consumer Reviews: No consumer reviews were found when searching for this program. However, the program displays 5 positive reviews for the program on their sales page. Post-Certification Education Opportunities: ACE offers many different certifications including personal training, group fitness instructors, youth fitness instructors, a weight management, and behavioral changes among others. The Mission of the International Posture Association (IPA) is to unite credible posture professionals, companies, and organizations worldwide to raise public awareness of the importance of proper postural hygiene for a healthy lifestyle. Providing an over compassing organization to allow posture professionals from all parts of the world to unite and direct our strengths together to increase awareness of the importance of posture. The International Posture Association is a membership entity that validates credible professionals and organizations to increase credibility for the profession and the individuals. IPA provides up to date research backed scientific evidence of the importance of posture in an easy to understand, and readily shareable manner. IPA provides learning opportunities for the members, and increases networking and referral opportunities. The International Posture Association is the creator and lead sponsor for World Posture Day, March 23rd, whose goal is to raise efforts and awareness to have every persons posture checked by a professional posture practitioner. The hopes is to have every person routinely receive a yearly posture analysis to detect and correct postural issues for corrective and preventative measures.